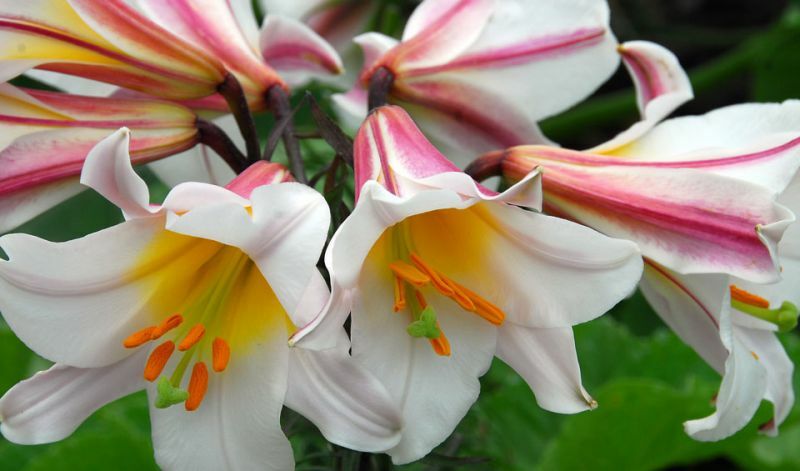 The large 6-10" / 15-25 cm flowers are trumpet shaped, facing outward or somewhat downward, and tend to be strongly fragrant, often especially night-fragrant. Trumpet types produce 12-15 blooms per stalk and are spectacularly long blooming. In borders, beds, perennial gardens, pots and containers and as cutflowers. 'African Queen' (orange), 'Golden Splendour' (yellow), 'Pink Perfection' (pink) and 'Regale' (white).